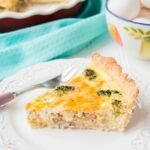 Great for breakfast and/or as a snack. Gluten-free, sugar-free, fat-free, dairy-free, super healthy and super delicious. Even your pickiest eaters will love it. As the school year moves on, I’m starting to run out of healthy snack ideas to pack in my toddler’s lunchbox. The challenging part is that my son is a picky eater, so it’s trial and error with him with no rhyme or reason. He likes what he likes and it’s difficult to get him to try new things. So, I was over-the-top pleased when he ate and enjoyed these healthy cookies. 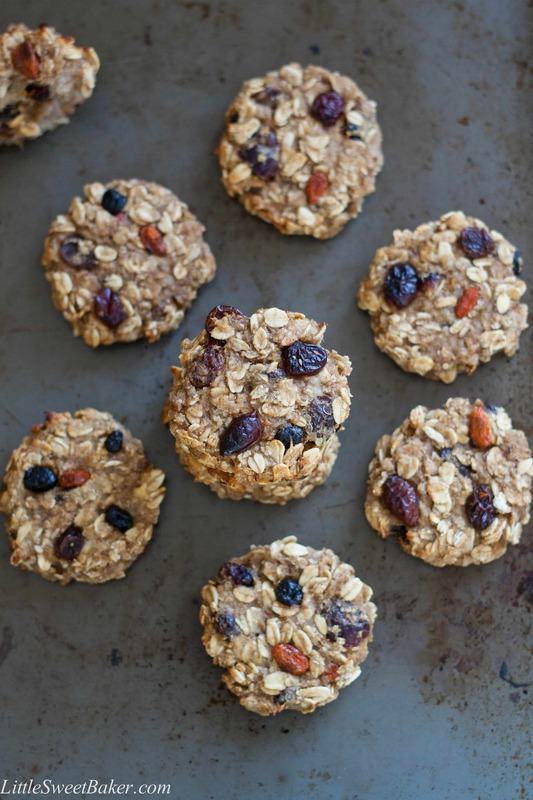 These cookies are naturally sweetened with fruits, high in fiber and protein, and packed with nutrition. The cookies are soft in texture with a little bit of crunch from the rolled oats and some chewiness from the dried fruits. I used a mixture of dried cherries, blueberries, and goji berries, but you can use any kind of dried fruit you prefer. These cookies are a cross between an oatmeal raisin cookie and banana bread, so if you like either of those, you’re going to love this recipe. 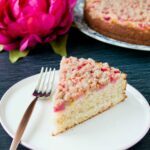 So, start your morning off right or give yourself a little energy boost in the afternoon with this healthy and delicious treat. Enjoy! These cookies are naturally sweetened with fruits, high in fiber and protein, and packed with nutrition. Mix all ingredients together. Scoop out onto the prepared baking sheet and flatten a bit with your hands. Bake for about 20 minutes or until lightly golden brown. These cookies are so chewy and delicious I am obsessed! 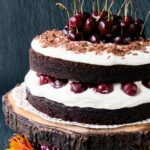 Thank you for making this wonderful healthy recipe! Healthy cookies I can snack on? Yes, please! These cookies are wholesome and look inviting! Simple ingredients in a great cookie! 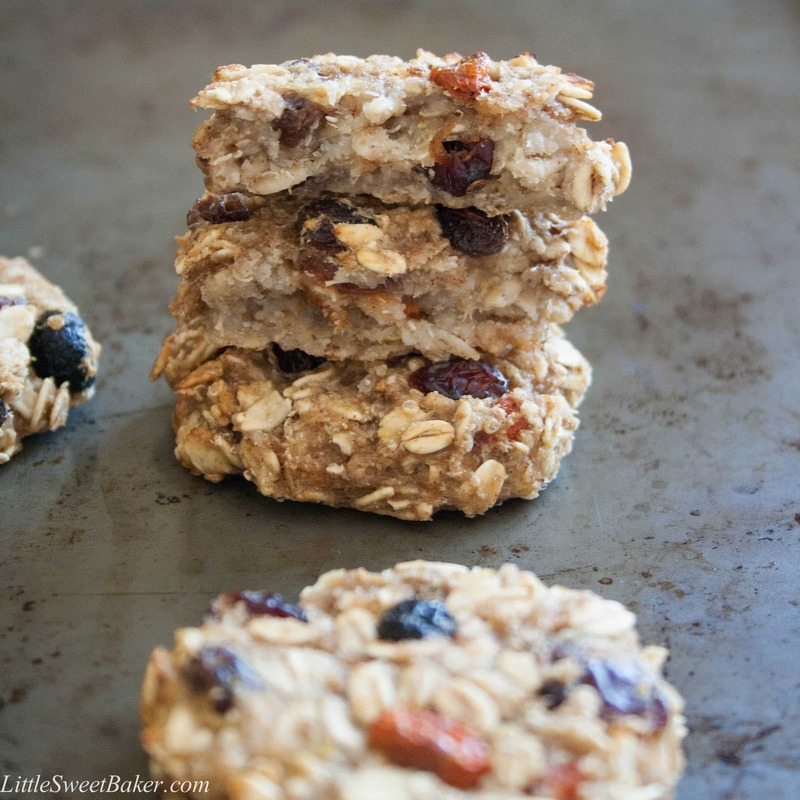 Love it…as I like both banana bread and oatmeal cookies! Thank you, Lily! Easy,quick and healthy! Love such recipes. The cookies look great Lily! Pinned! I can’t thank you enough for sharing these. I was in fact looking for healthy tiffin ideas . How long do you think they would last? My general rule of thumb is 3 days for any baked goods. Enjoy! It’s a perfect lunch box ! 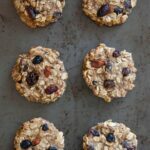 These look yummy, I have been working on some sugar-free cookies myself recently – I like the combination of ingredients you have here, look good! These look so yummy! and healthy?! I’ll take a dozen please! !